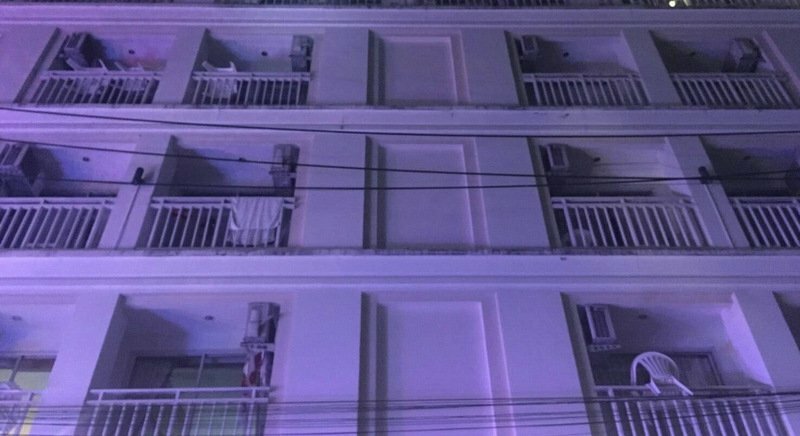 PHUKET: A Russian woman has died after leaping six floors from the rooftop pool terrace at a hotel in Patong early this morning (July 19) while her 10-year-old daughter stayed in their room. Police were called to the hotel, on Prachanukroh Rd, at 2am. Officers led by Lt Col Jongserm Preecha found the woman on the ground in front of the hotel with serious injuries. Police identified the woman as 39-year-old Polina Tarasova, from the Tyumen region, bordering Kazakhstan. Patong Police Chief Col Tassanai Orarigadech called the incident an “especially sad case”. “We found her shoes on the top floor. She jumped while her daughter, only 10 years old, was left in their room,” he said. “The woman arrived at Phuket on Monday (July 17) and was due to depart next Tuesday (July 25),” Col Tassanai told The Phuket News. “We have been told that she had been having many serious arguments on the phone with her partner, but we are working with the hotel and will review any CCTV footage available as we will investigate this death further,” he added. The daughter is now under the care of Russian consular officials, Col Tassanai added.